Scripture of the Week - Erasable Print! After you print our design on your favorite piece of scrapbook or card stock paper, cut it down to size 8"x10" and place in your favorite frame. 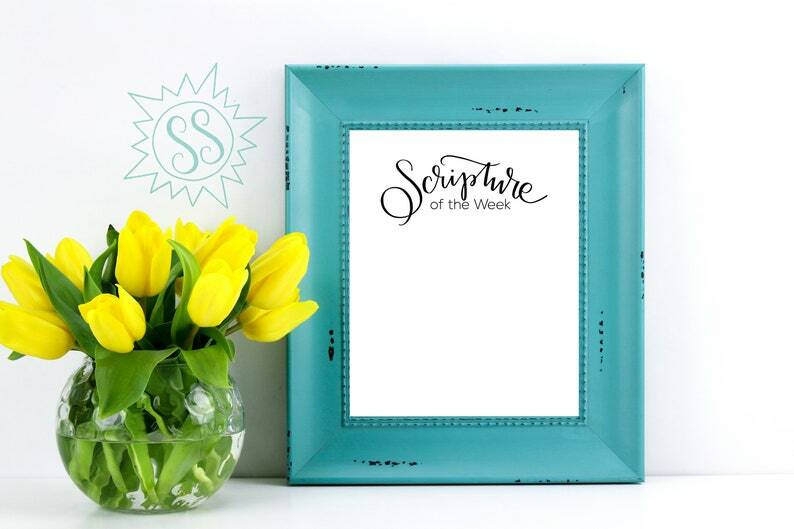 Then, choose your "Scripture of the Week" and write it on the glass of the frame with a dry erase marker!